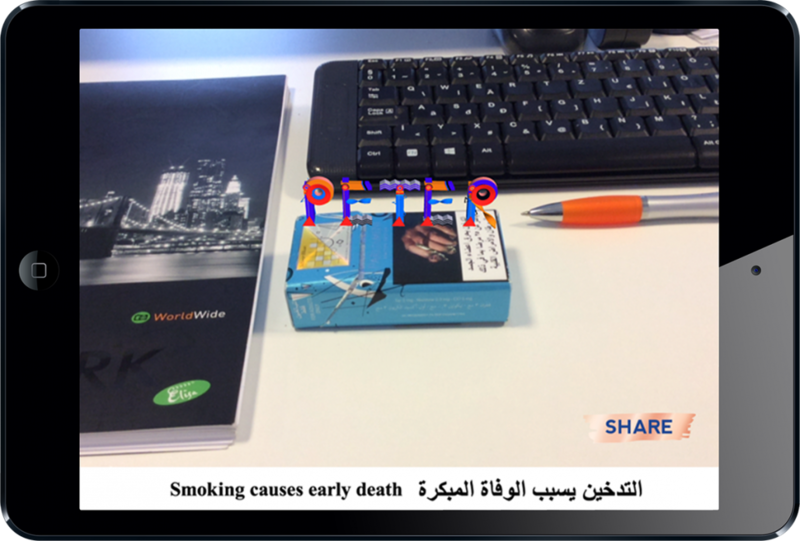 Arworks with Leo Burnett Dubai made an AR app for iPad to support the hostess promotion of the limited edition Silver Blue cigarettes pack. 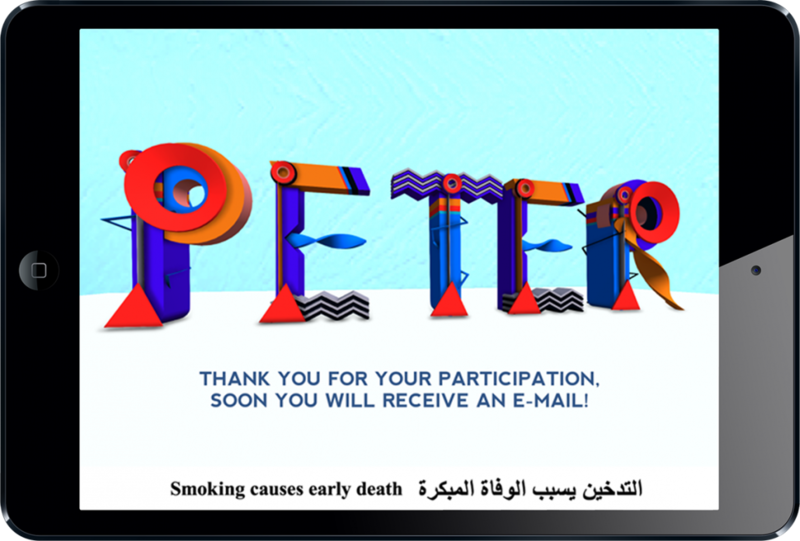 The application showcases the limited edition packaging and as first step the the user can add his name and email address. The next screen switches the app into AR mode: the hostess puts the ilver Blue pack in front of the camera and then the user’s name appears on the pack’s front side using 3D animated letters. These letters are specially created for this campaign and styled to resemble the well-known Russian painter, Wassily Kandinsky’s abstract style. By pressing the Share button the app sends and email to the given address with a screenshot attached.